Electronic Kit School. 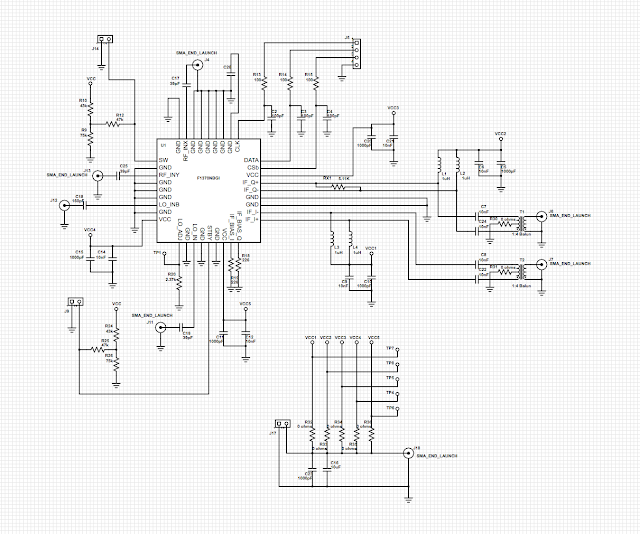 - There are many electronic circuit design to give best result now for demodulator. One electronic circuit of High-band DPD Demodulator with Integrated DSA and RF Switch which designed is look like in Figure 1 below. The main component to controller this motor is IDTF1370 which popular today. In this time, beside we will show you the circuit, here we also will show you component part and global description about this circuit. Circuit like in Figure 1 above show you about the High-band DPD Demodulator Circuit with Integrated DSA and RF Switch. From Electroschematics site describe that the device has an RF input, standby mode and attenuator setting may be set using the F1370 serial port input. It has a built-in digital step attenuator (DSA) and single-pole-double-throw switches (SP2Ts). The signal coming out of the power amplifier is receive so that the I&Q (In-phase and Quadrature) data at the Baseband can be pre-distorted before being sent to the transmitter’s digital-to-analog converter to counteract the distortion inherent in the downstream PA. The signal coupled from the PA is adjusted via a DSA to a lower level and then sub-sampled at an IF frequency of ~200 MHz which necessitates the need for a highly linear demodulator to downmix to quadrature IF from the Transmit frequency. Sampling IF_I and IF_Q independently and then digitally combining these signals can achieve an effective doubling of the sample rate. Any distortion in this path will degrade the performance of the DPD algorithm. By utilizing an ultra-linear demodulator with integrated DSA such as the IDT F1370, the ACLR and/or power consumption of the full Transmitter system can be improved significantly.